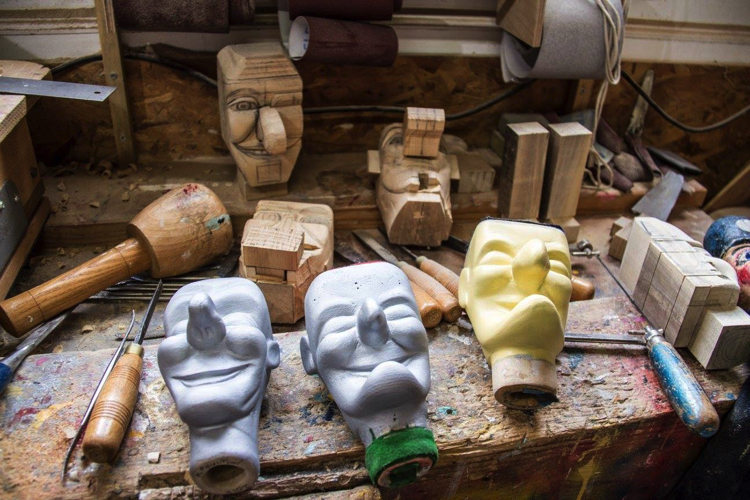 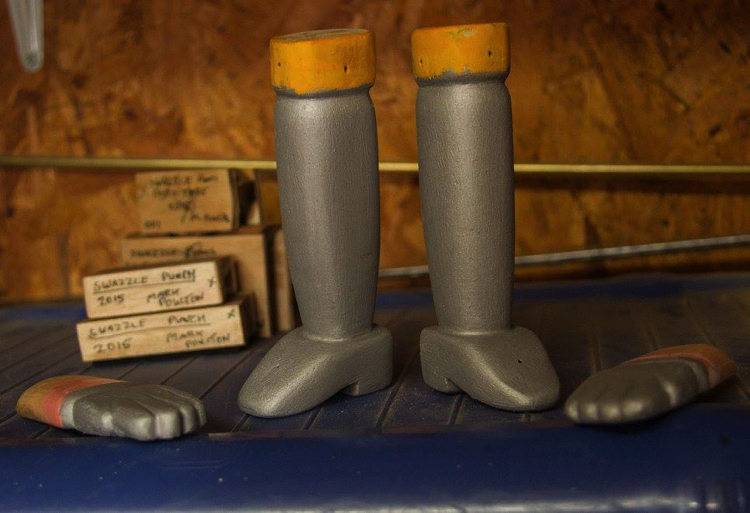 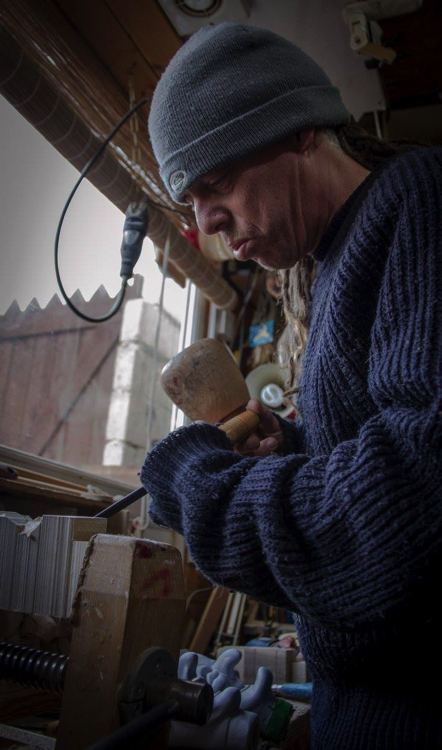 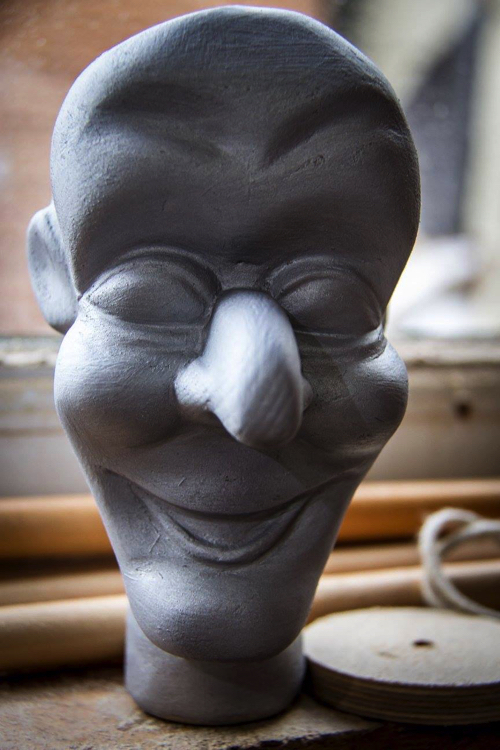 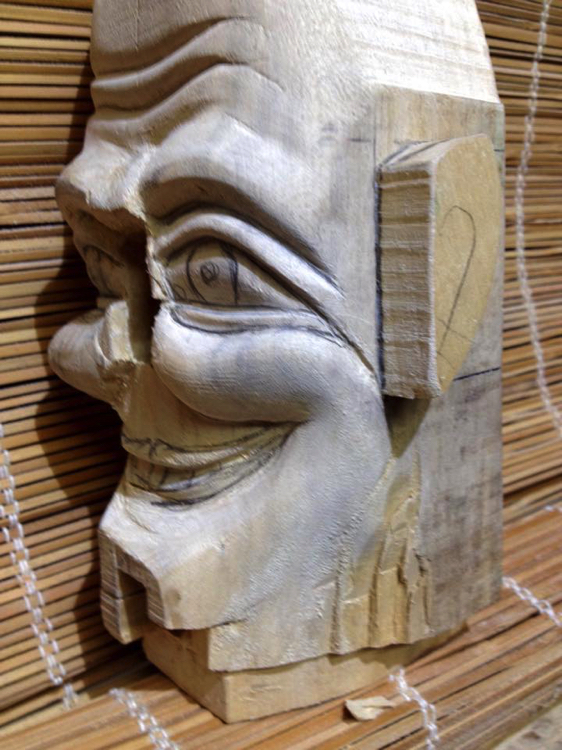 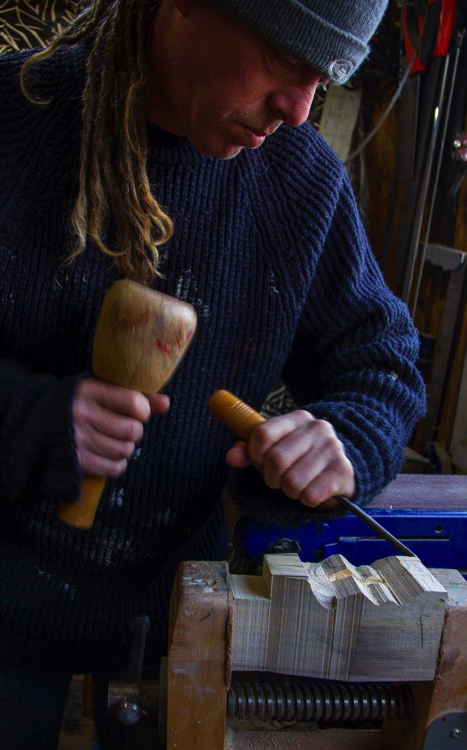 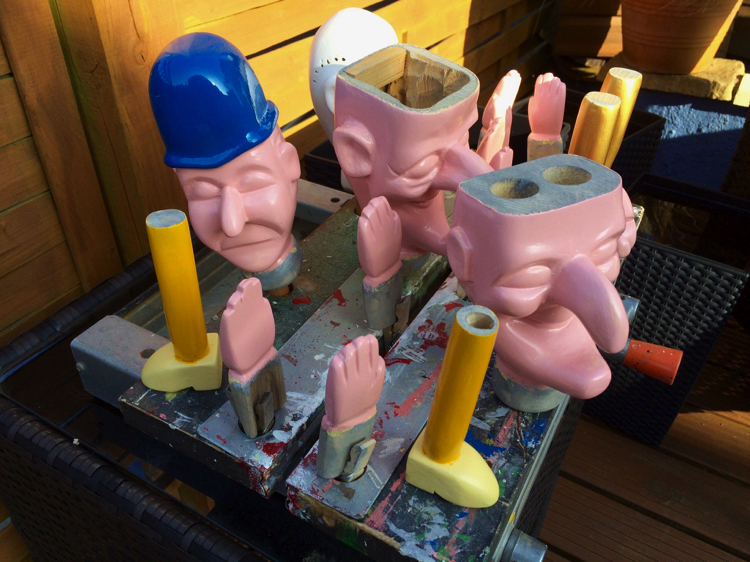 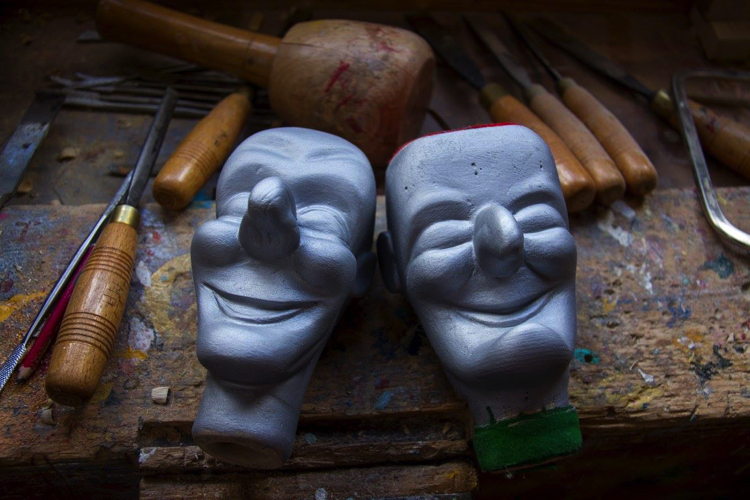 As well as performing the show, I also restore, design and build puppets, props and puppet theatres for other performers and collectors. 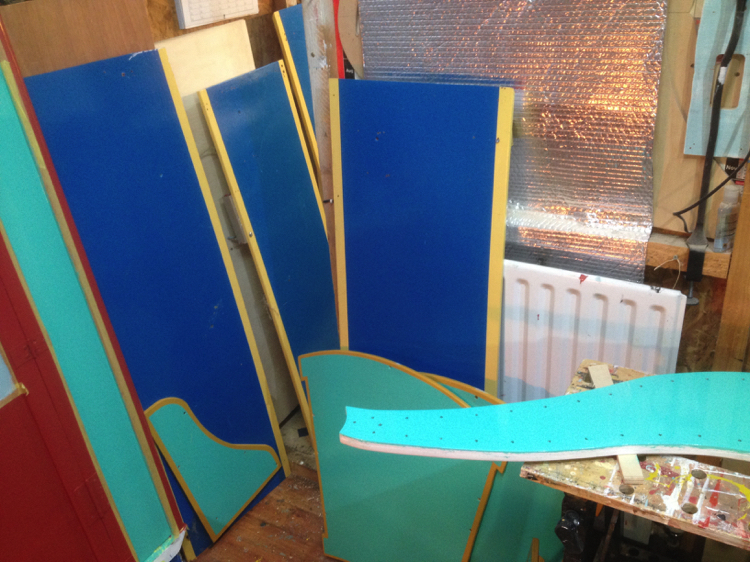 Please remember that these products are all hand made to order, the paint takes time to dry/harden and I ‘fit’ the making in around performances. 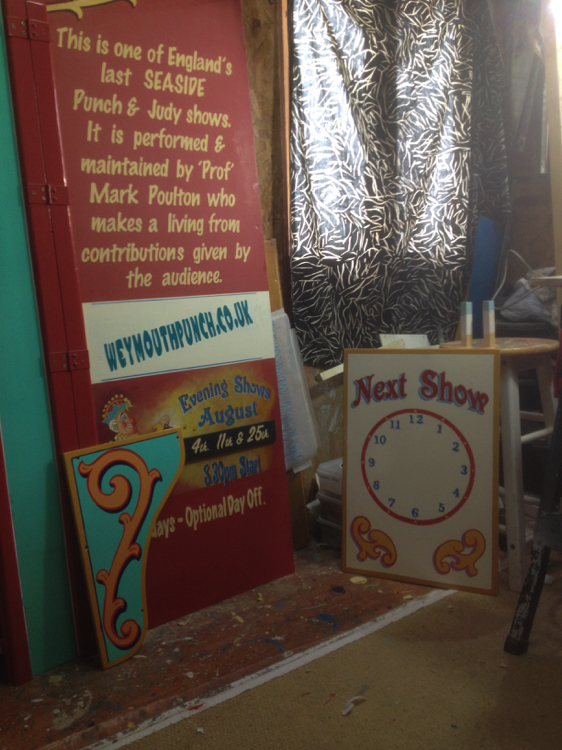 I never rush them to get them finished - patience is a virtue! 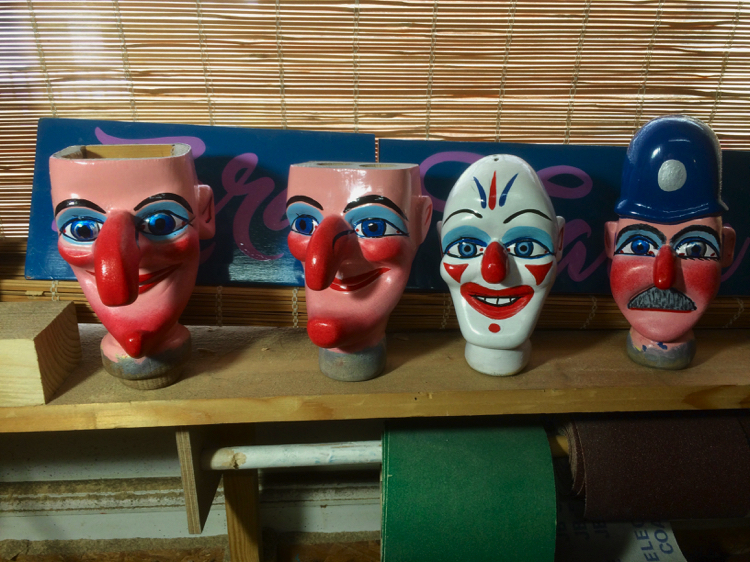 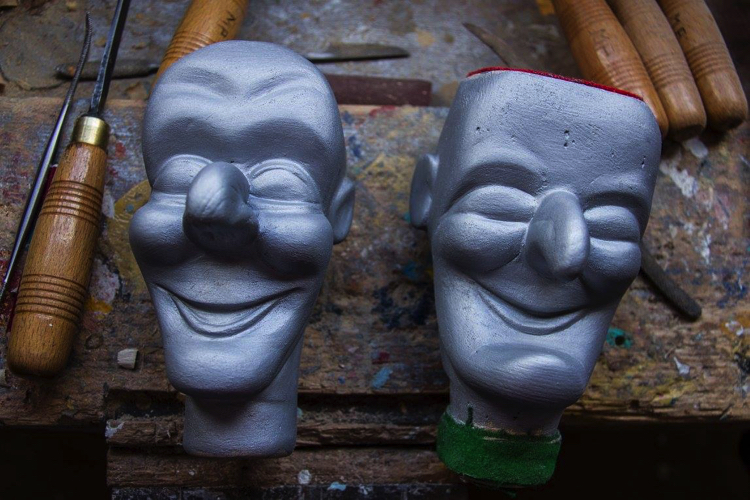 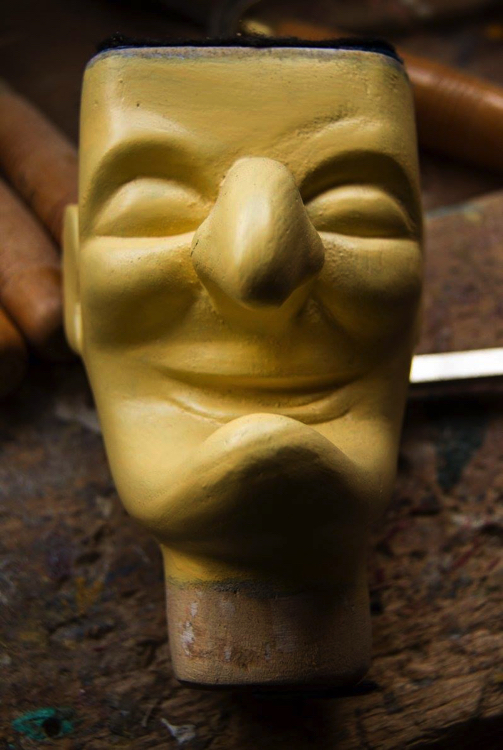 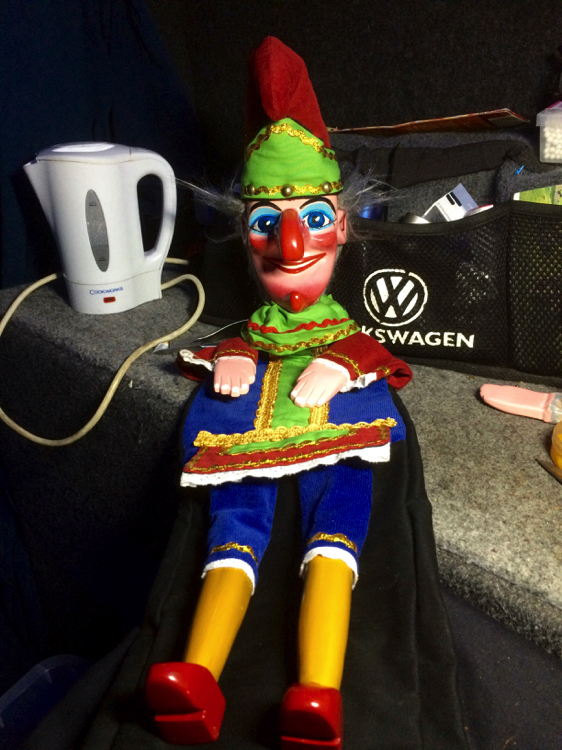 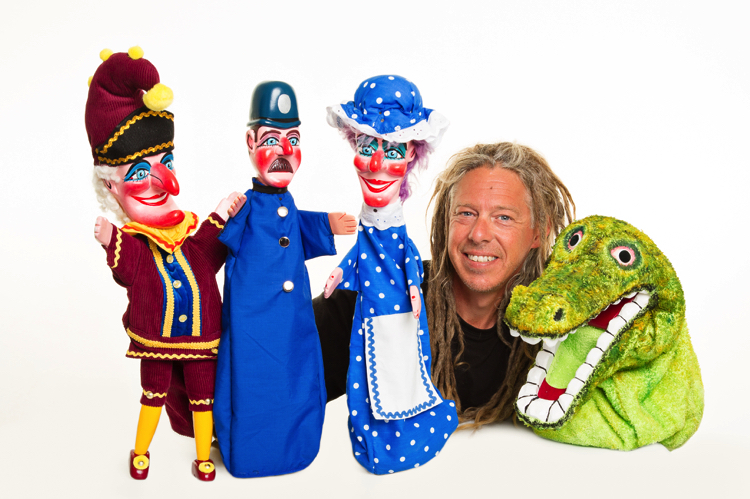 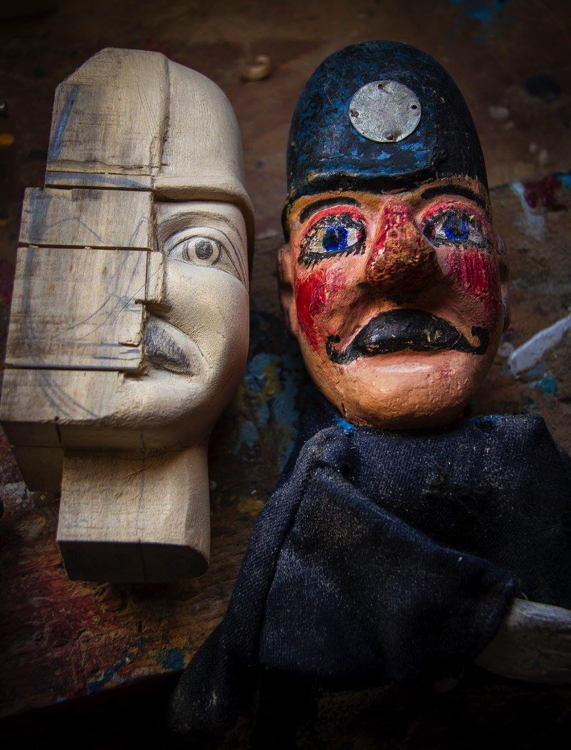 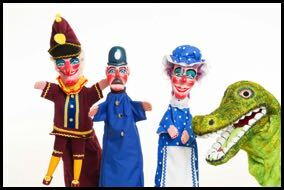 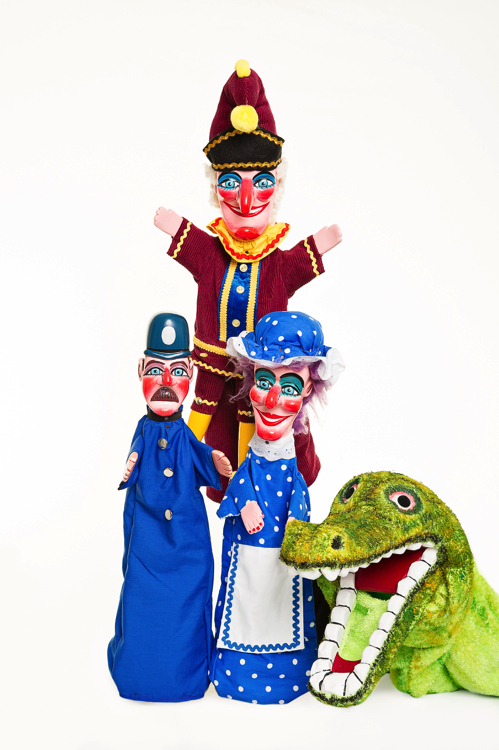 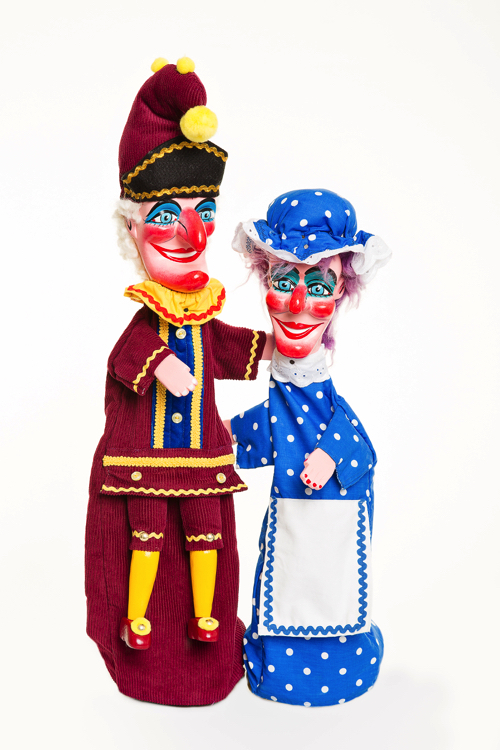 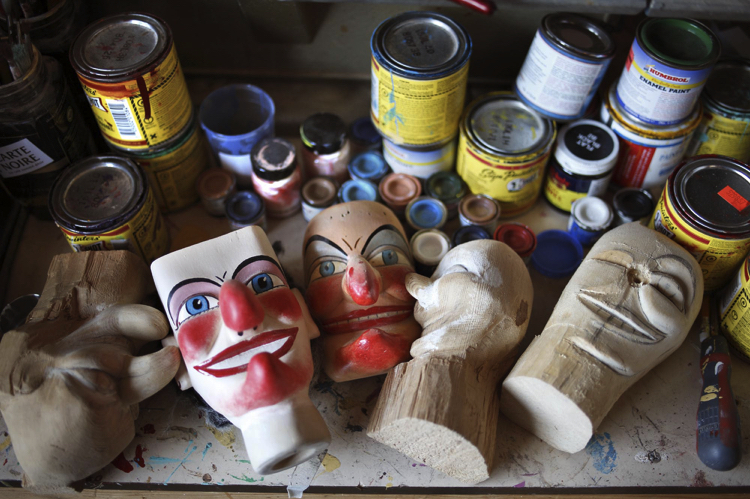 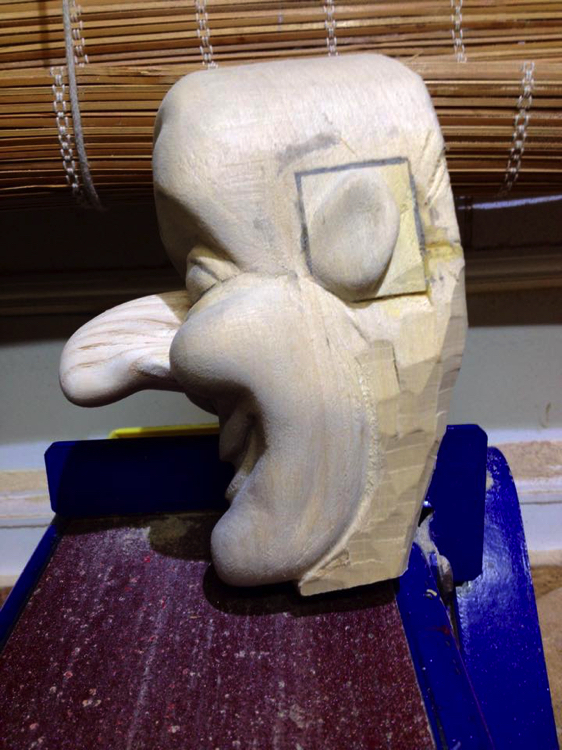 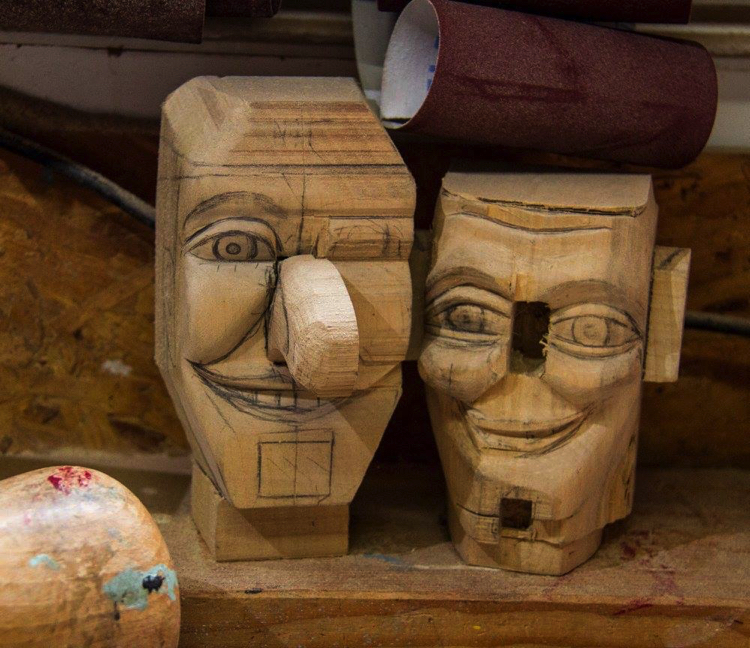 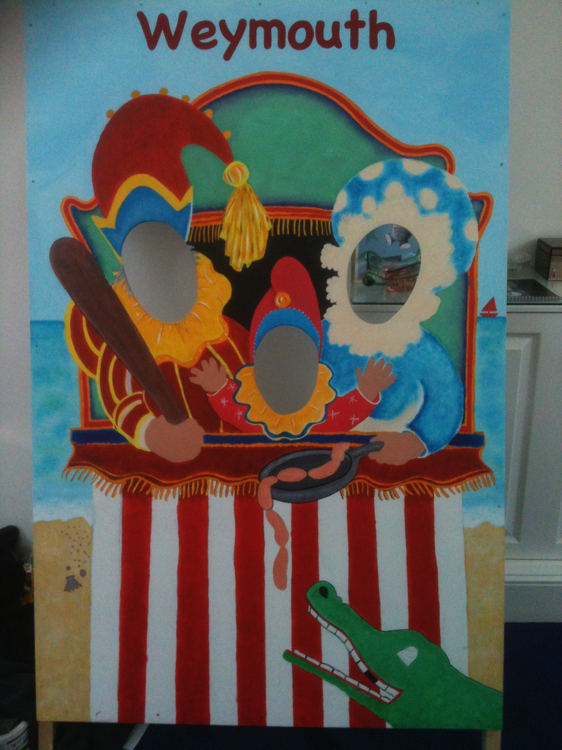 The majority of the puppets I make are ‘traditional’ Punch & Judy puppets. 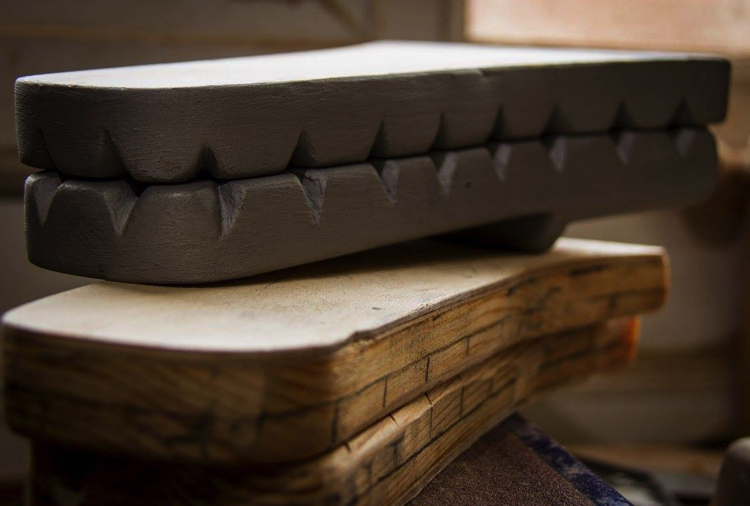 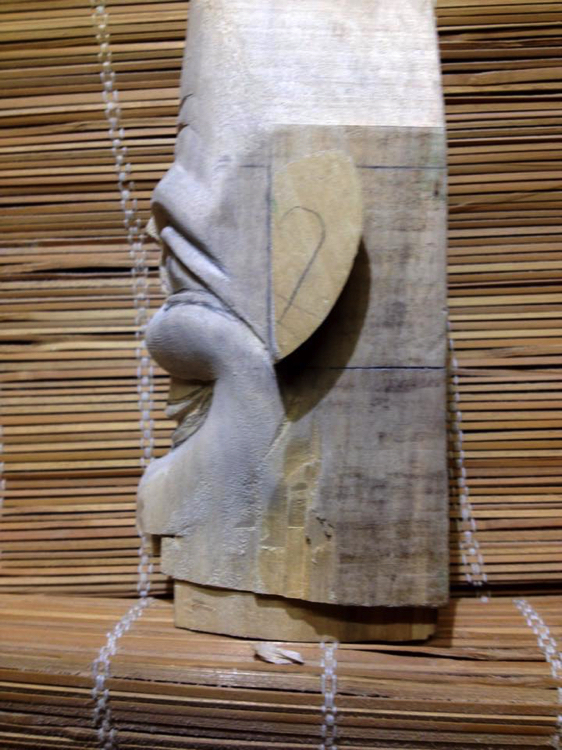 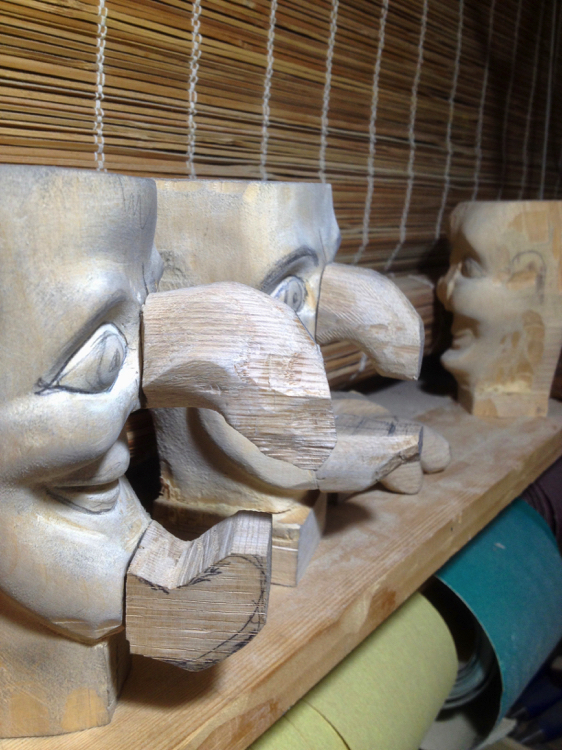 These are hand carved using well seasoned ’Lime’ wood from Minchinhampton in Gloucestershire. 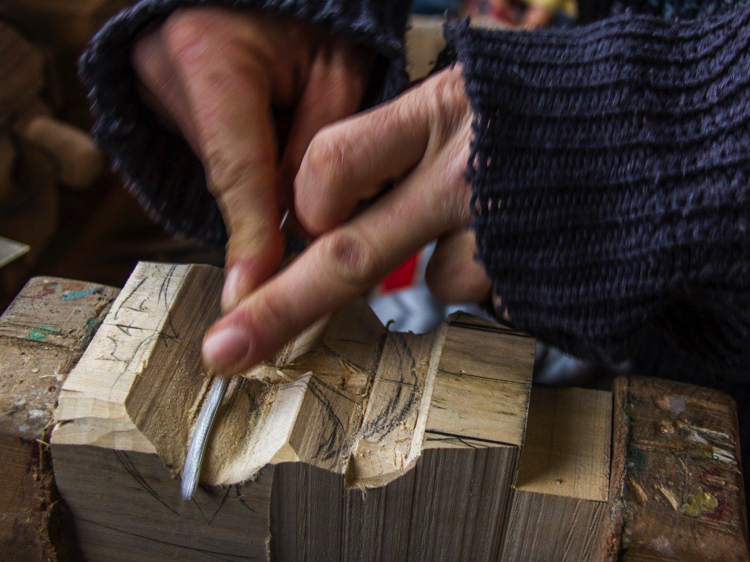 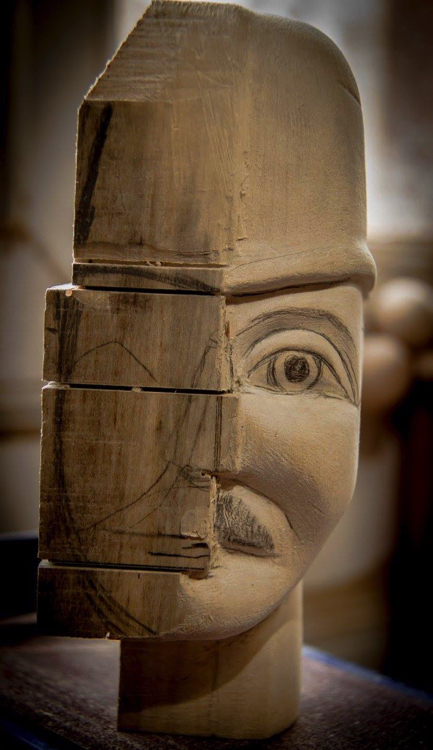 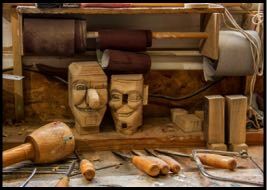 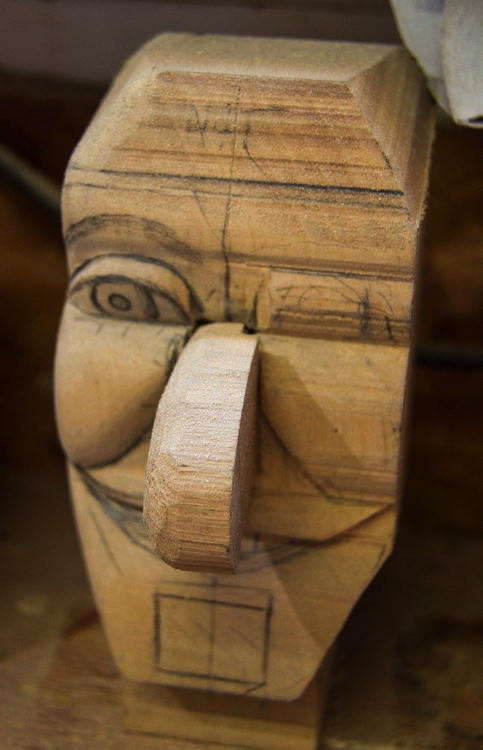 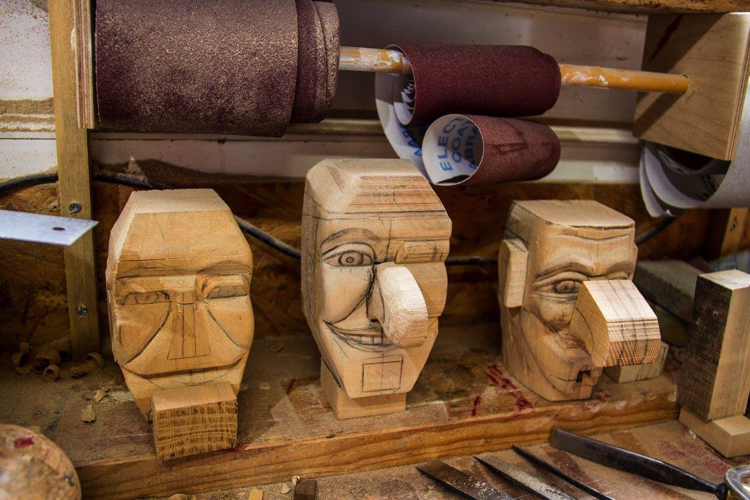 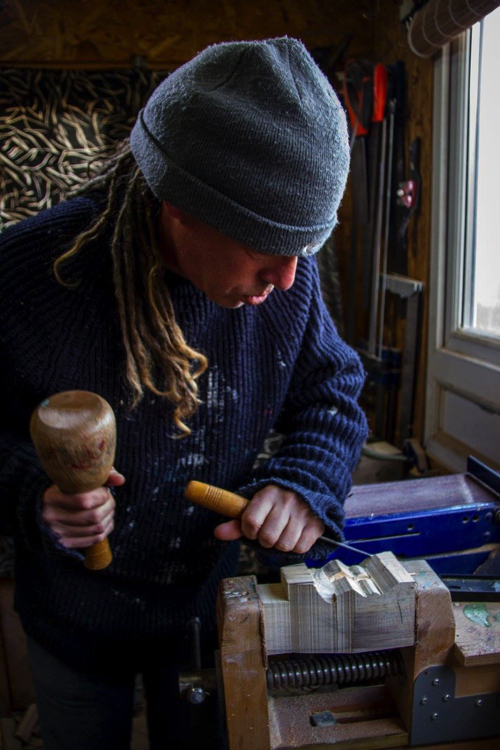 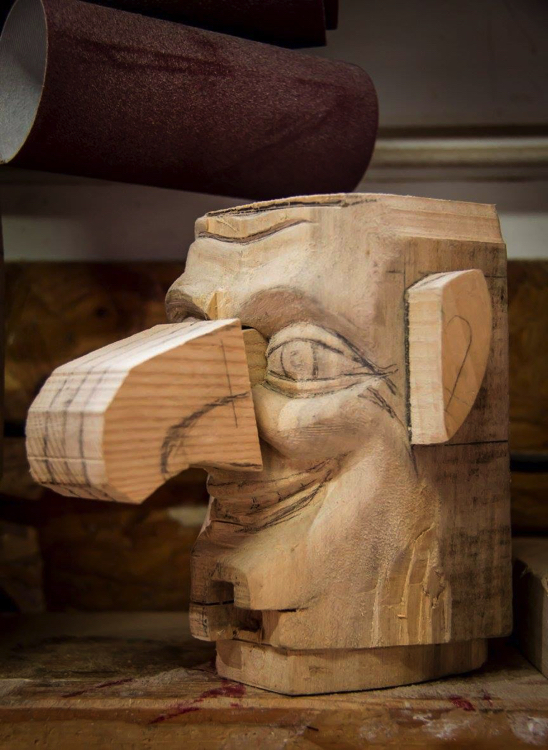 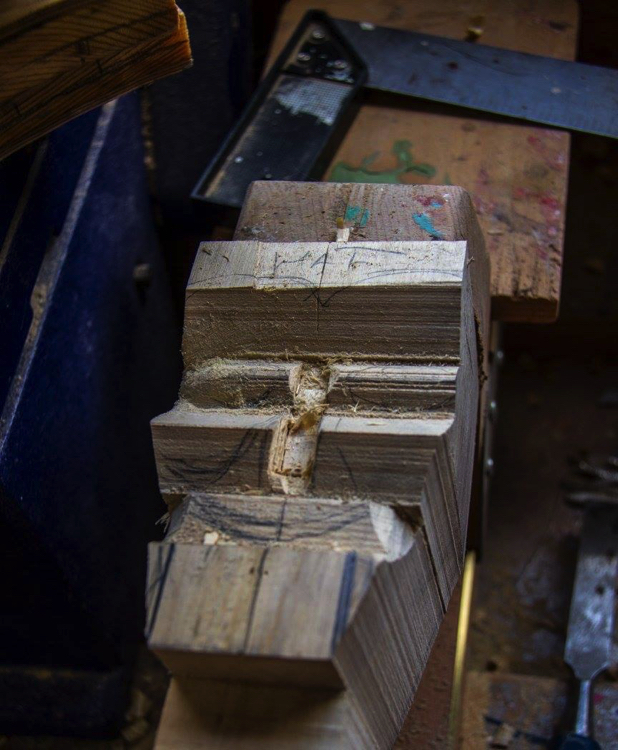 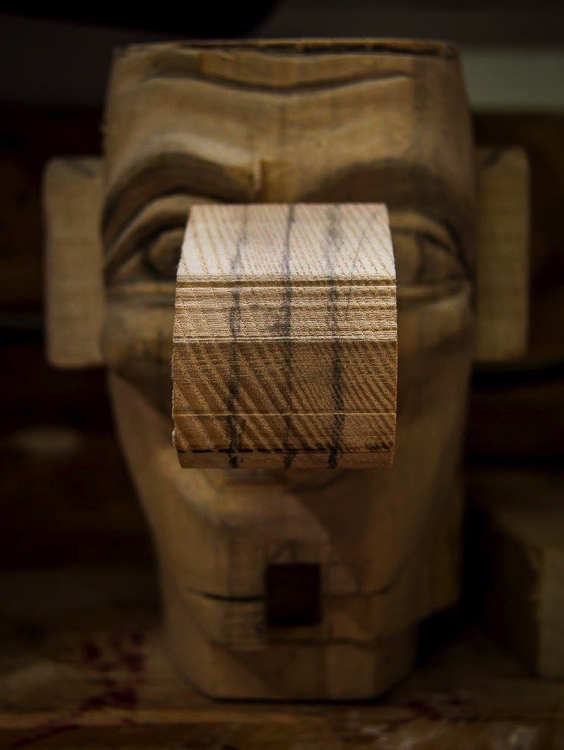 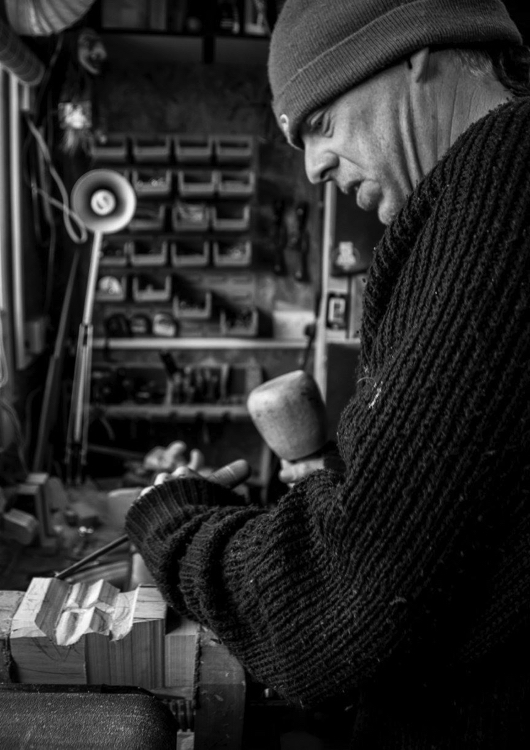 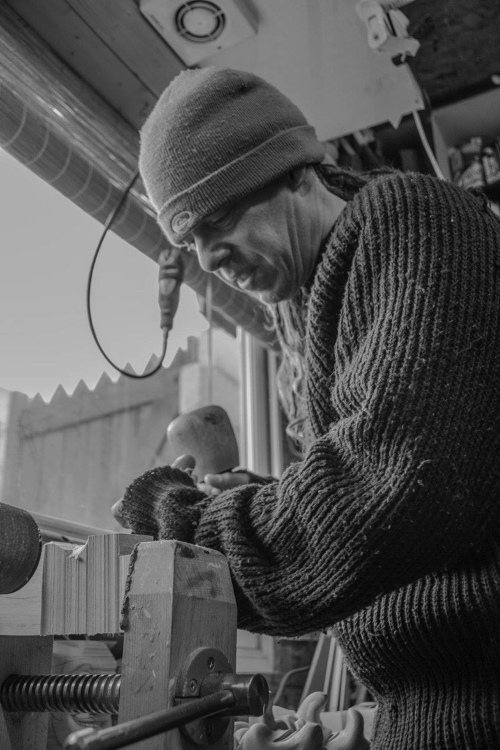 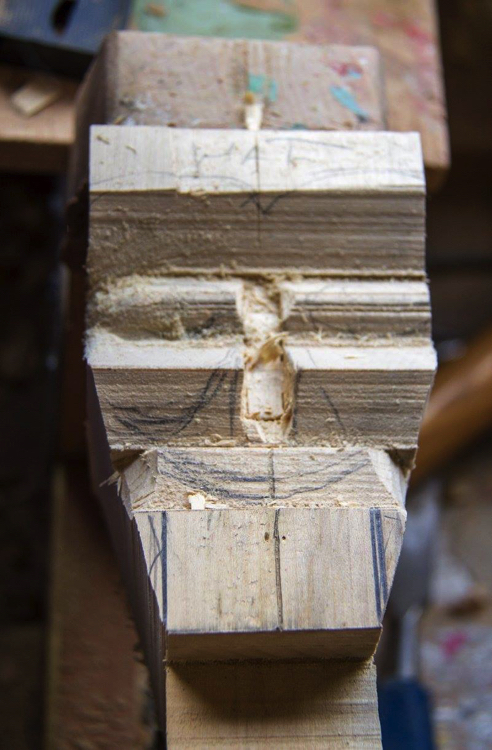 ‘Noses and Chins’ are made from ‘Ash or Oak’ wood and pegged in. 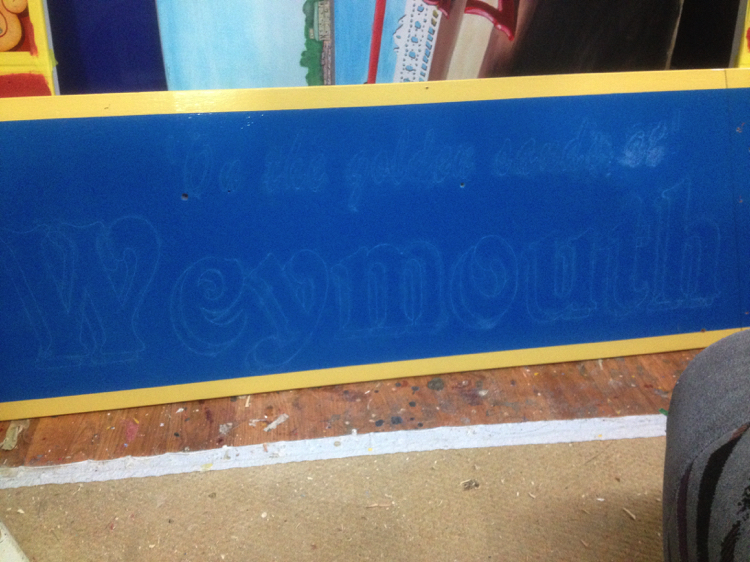 The paints I use are CRAFTMASTER Sign-writers Enamel. 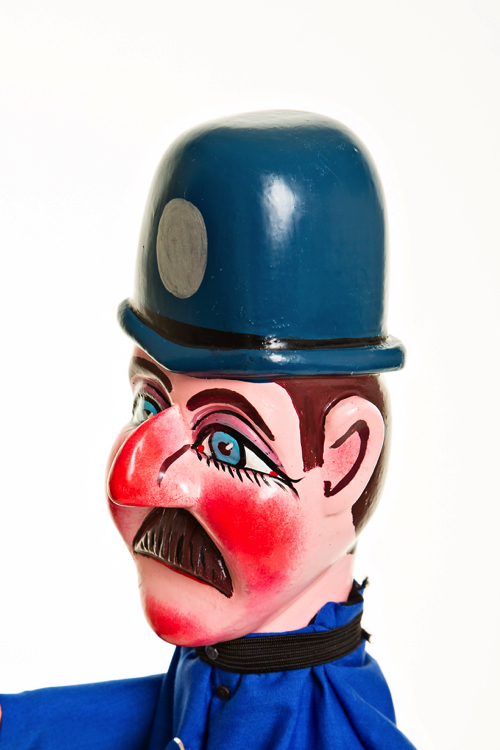 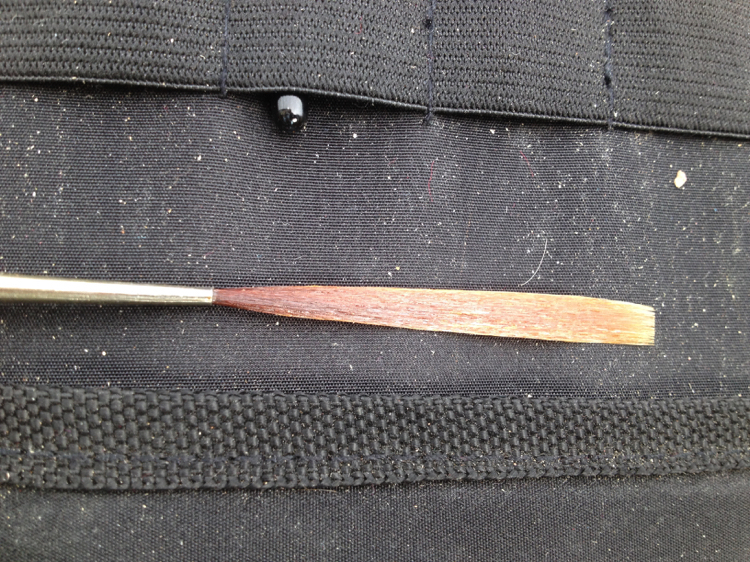 Two or three coats of a ‘Matt’ varnish is used with just the eyes and top lip having a coating of gloss. 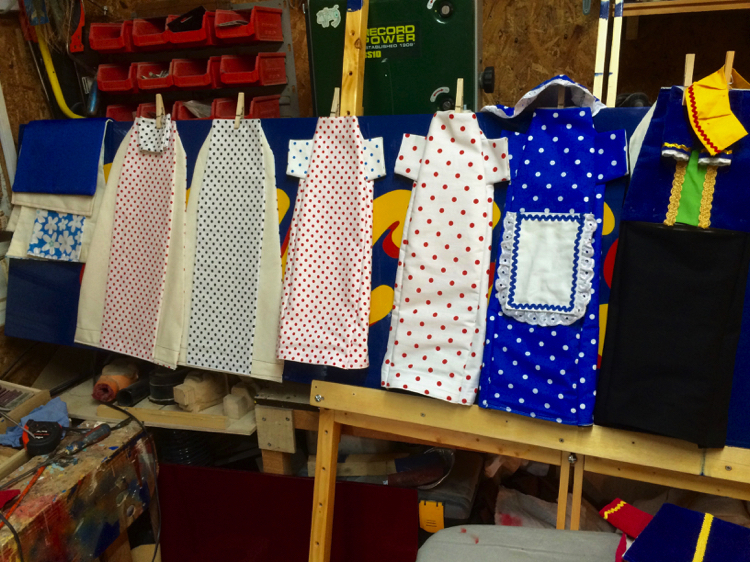 I also sew all the costumes which are all lined with Calico. 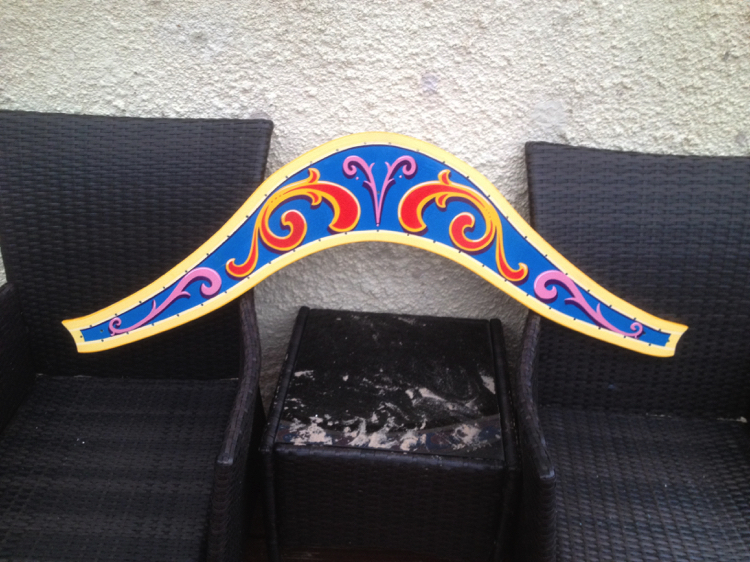 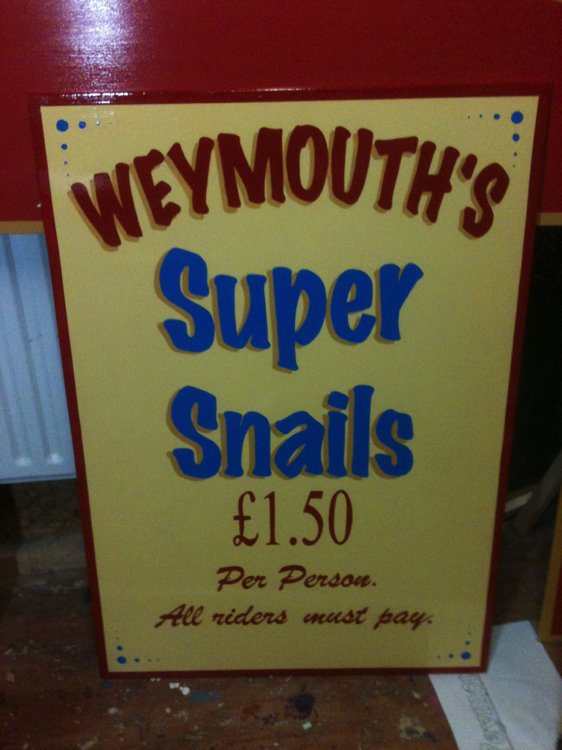 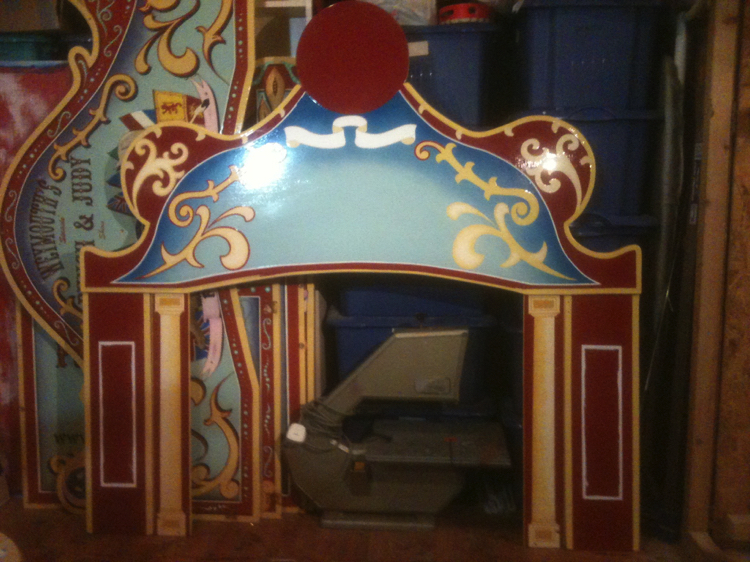 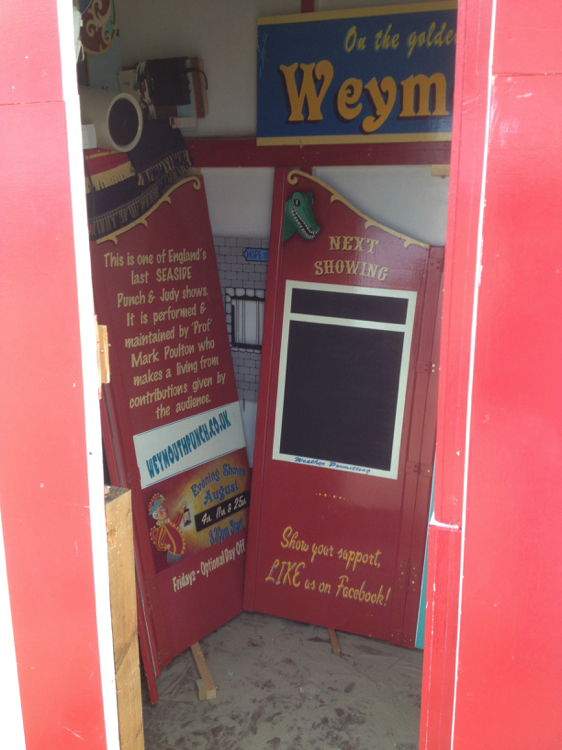 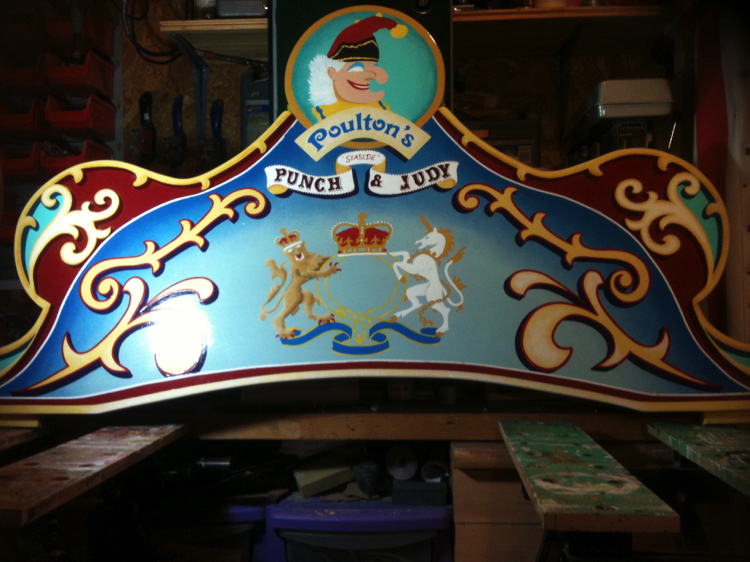 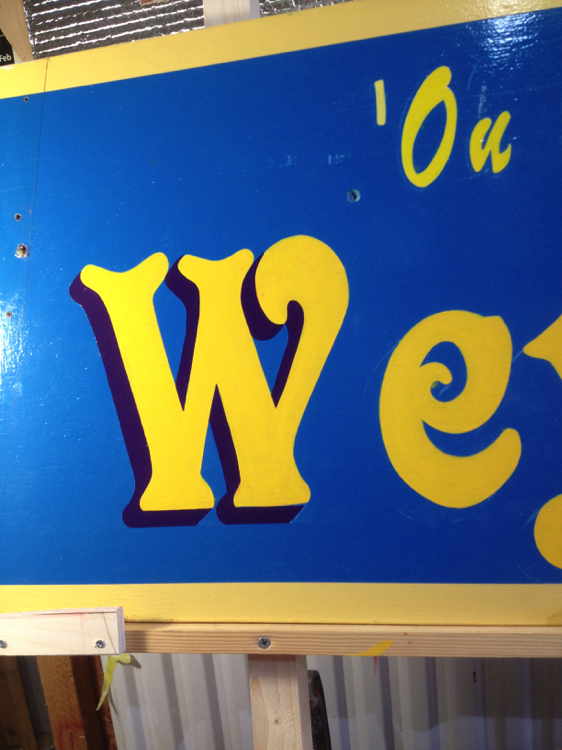 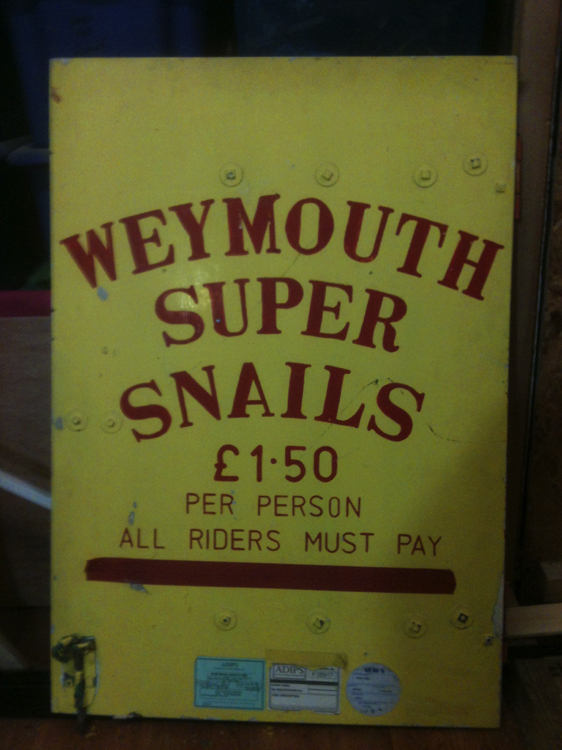 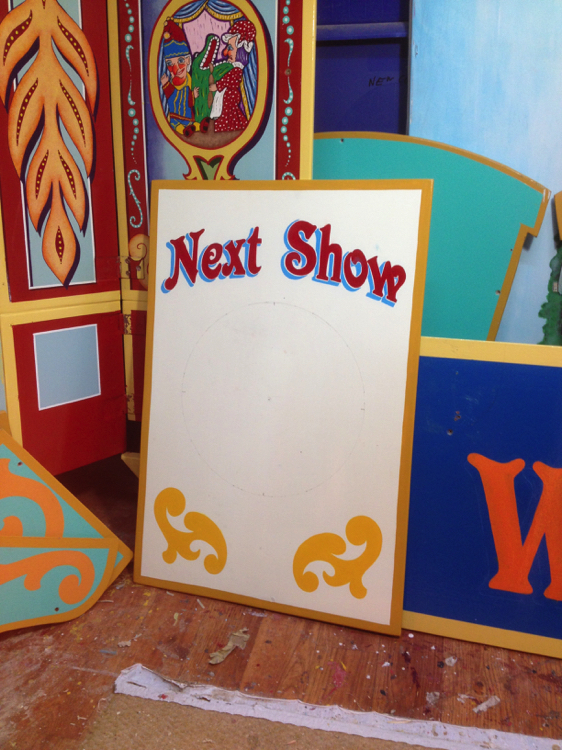 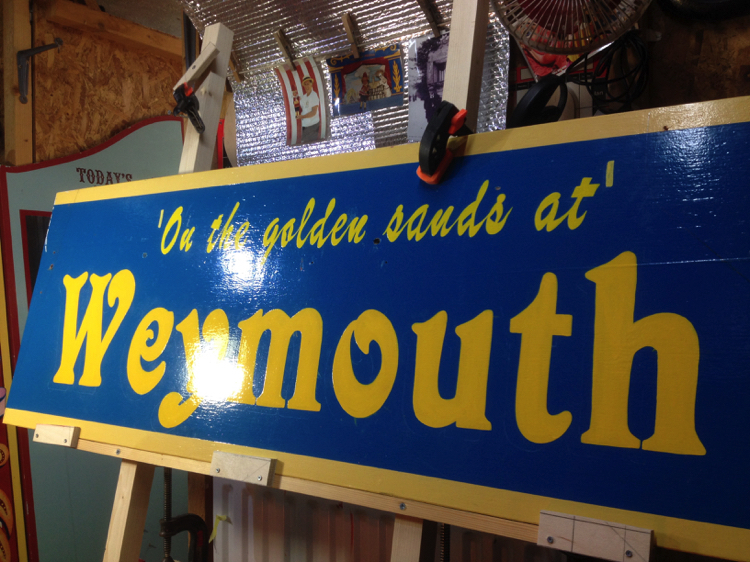 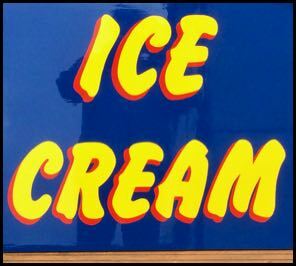 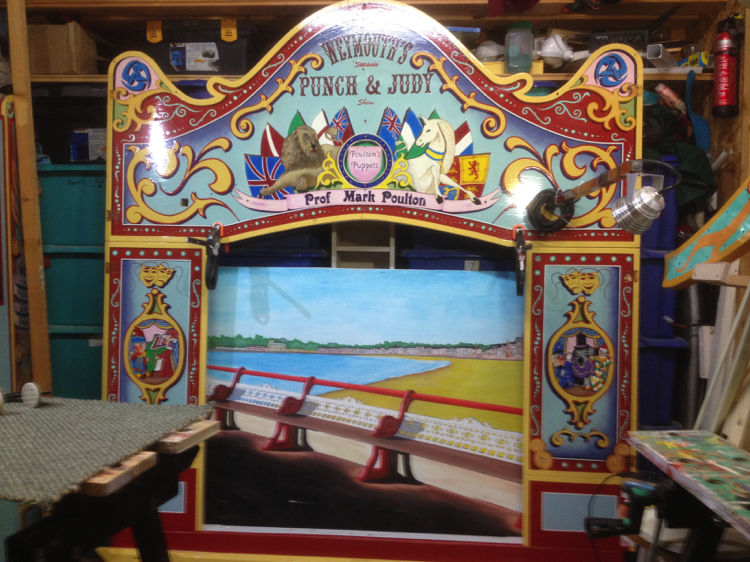 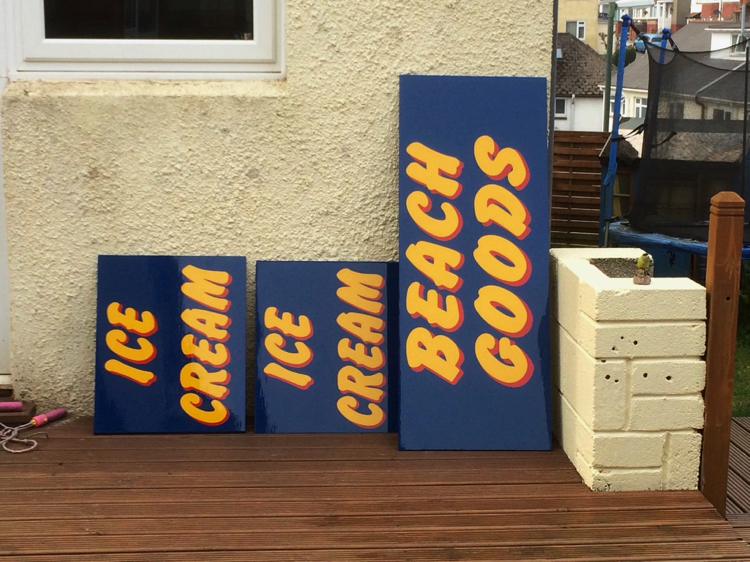 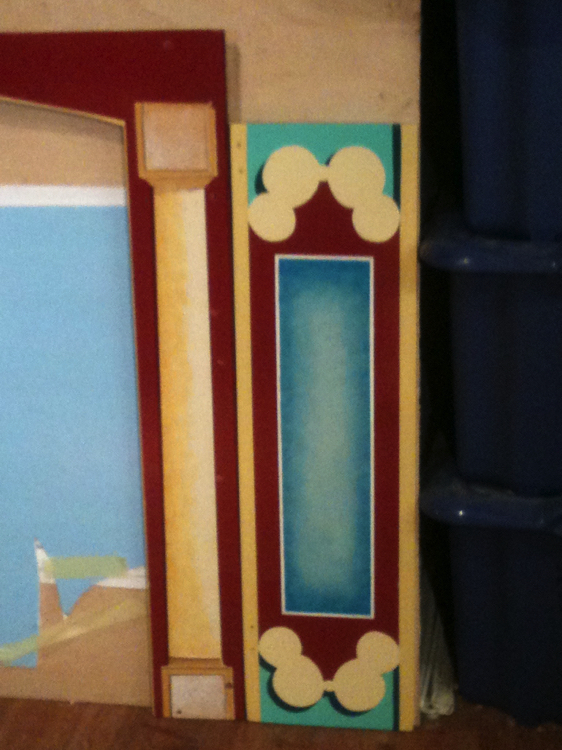 I design show-front signs and proscenium arches which I ‘traditionally’ paint. 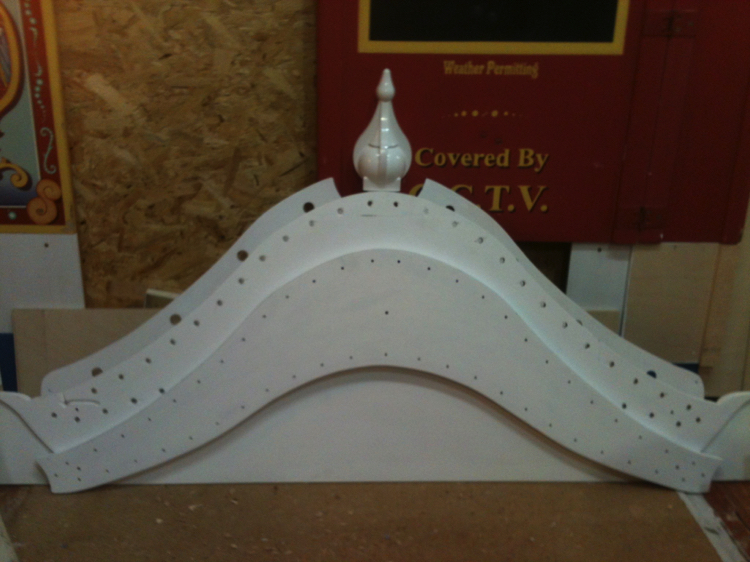 I use good quality ‘Birch’ Plywood then Primer and Craftmaster high build undercoat are used as base coats. 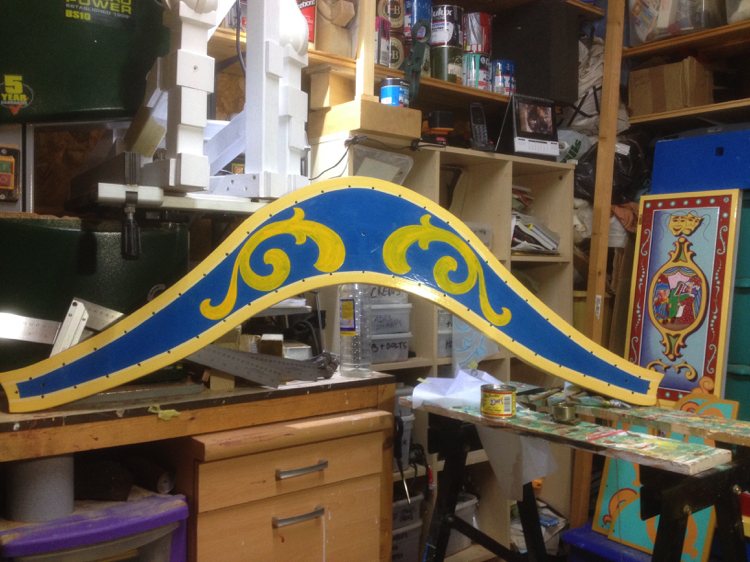 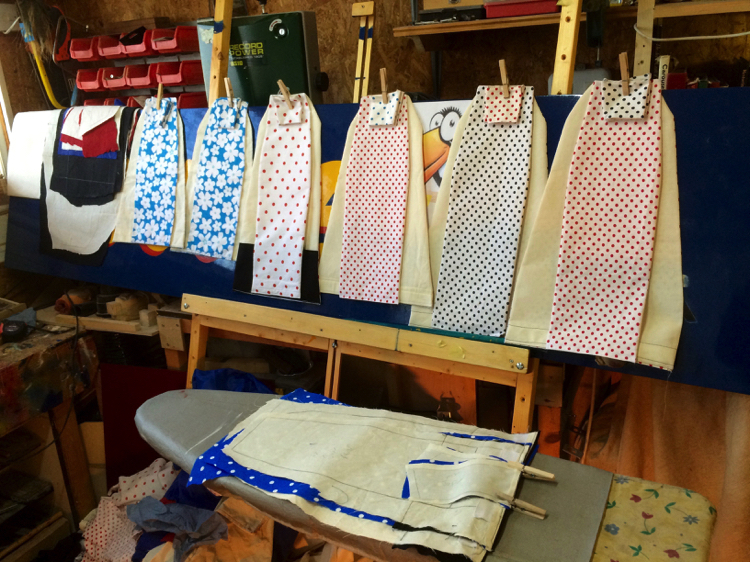 Getting a smooth surface on which to paint the design is essential. 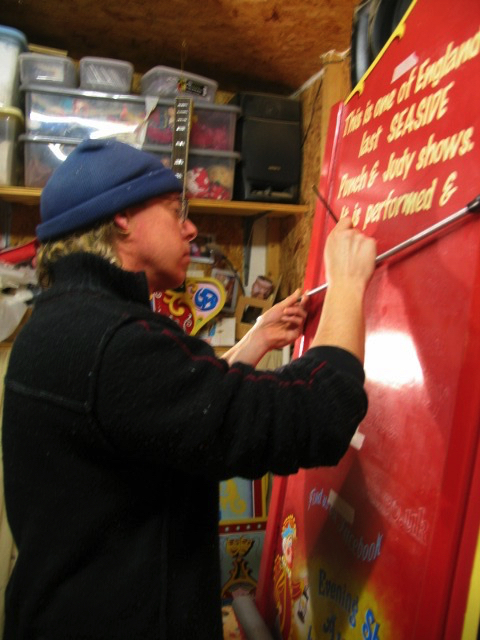 I mainly use One Shot Sign-writers Enamel for sign-writing work. 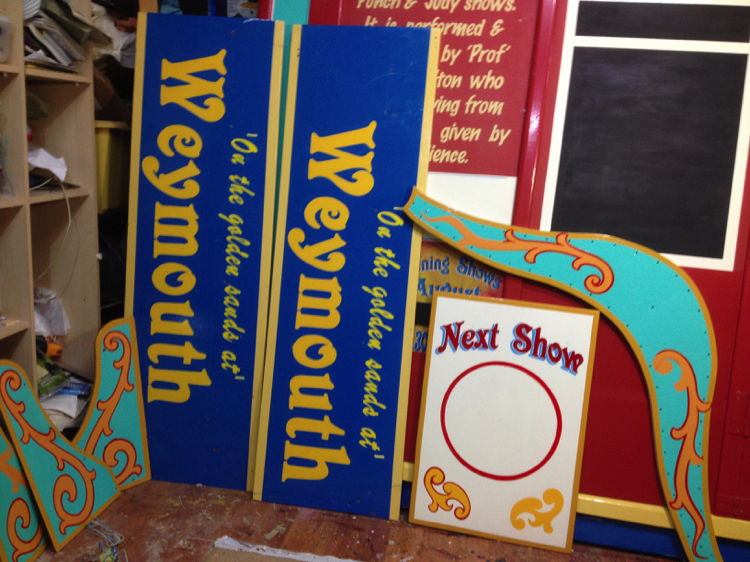 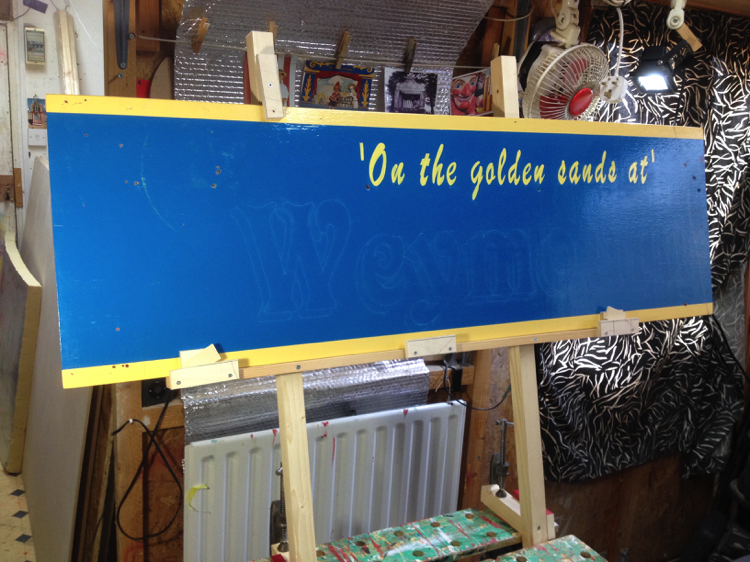 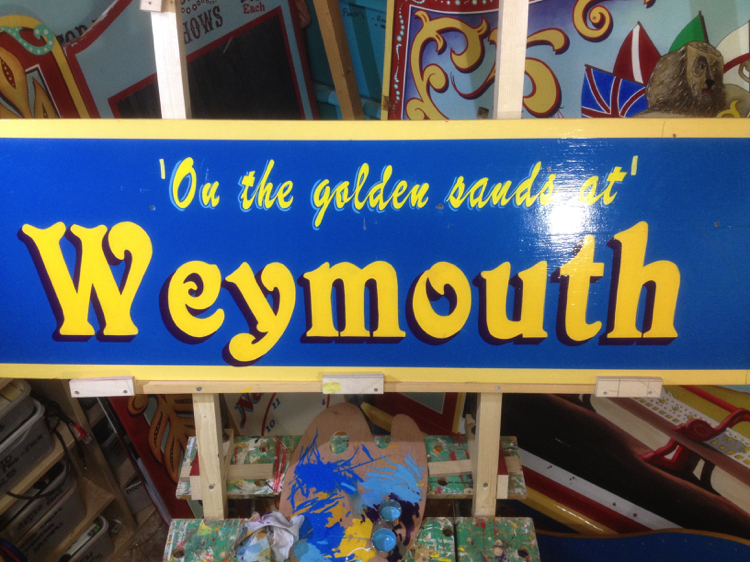 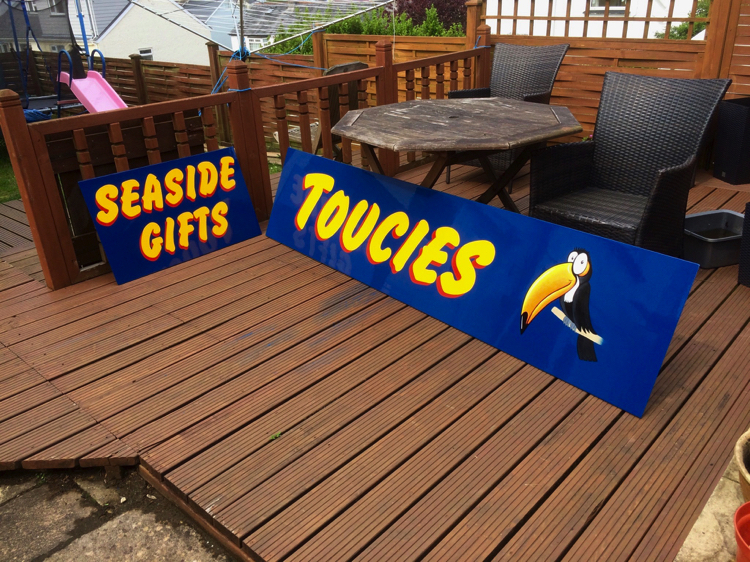 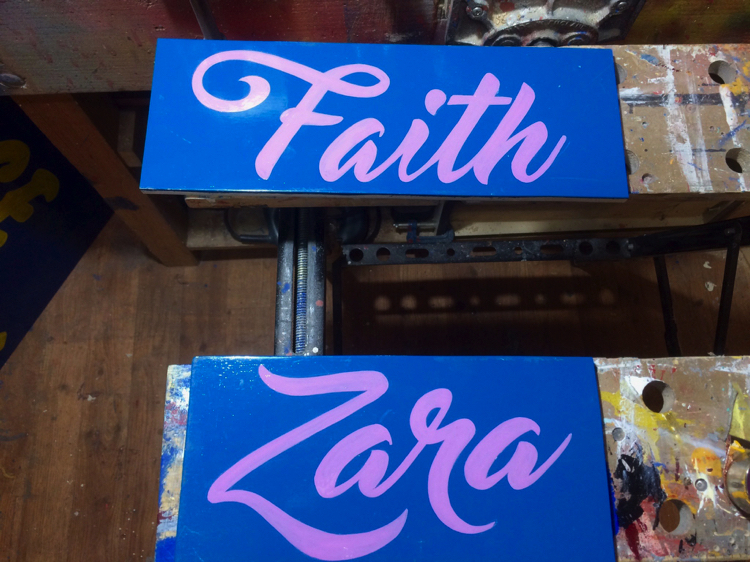 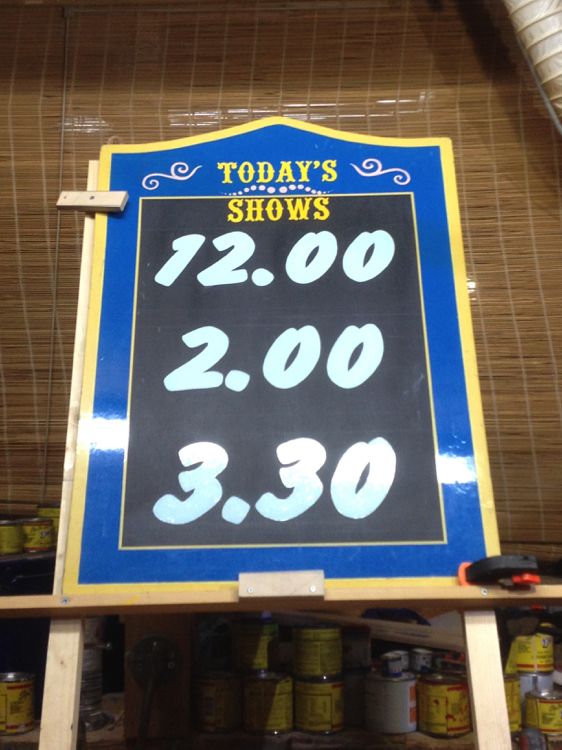 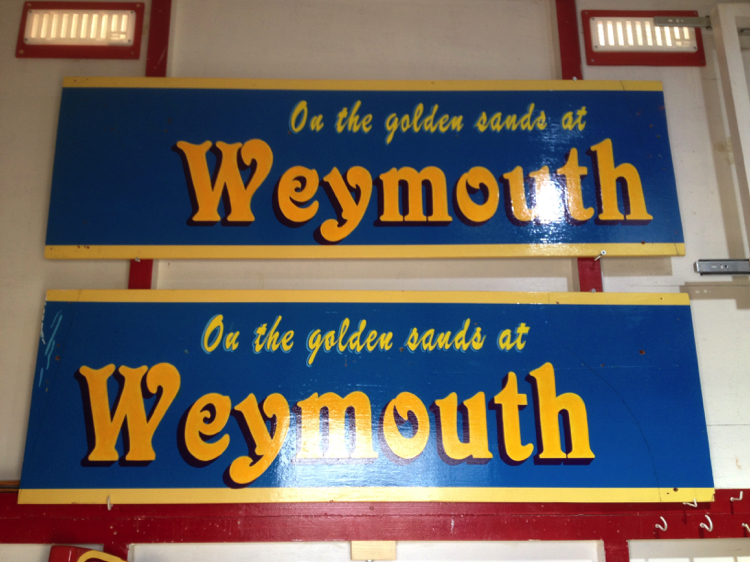 Signs can be varnished with a Matt, Satin or Gloss finish (proscenium arches have a matt finish).